In the wake of numerous Canadian groups, including the Canadian Medical Association, espousing support for a basic income, Ontario has taken a definitive step forward in committing to studying the idea further by making a budget commitment to undertake a basic income pilot project. While basic income support has been rising in Canada over the past few years, this represents a major breakthrough for the basic income cause in Canada. 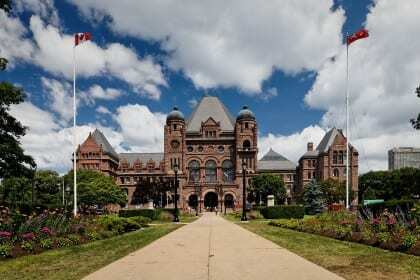 In the 2015 Budget, Ontario introduced a consultation on social assistance rate restructuring. Through ongoing discussions, there emerged a clear consensus on the need to move policy considerations beyond social assistance rates to include aspects of the broader income security system. As a result, this year, the government will continue to engage with delivery partners, clients and sector advocates to chart the path to comprehensive reform that effectively reduces poverty, supports people in their efforts to participate in the economy, and provides human services in a way that makes sense to the people who need them. This process will look across government and at the broader income security landscape to ensure that various existing and future programs work together to help Ontarians. The government will also engage with First Nation, Inuit and Metis communities to ensure that the path forward recognizes unique challenges on- and off-reserve and helps all Ontarians live a better life. While details of the pilot are still forthcoming, the news of a provincial government committing to a pilot is an exciting development for the future of a basic income in Canada. Canadian Wisdom Network ( http://www.wisdom.to/canada ) provides the means to fund Minimum Life (enhanced basic income). Within this initiative lies the opportunity to not only provide basic prosperity, enhance the lives of individuals with collective wisdom and collective satisfaction. I think Basic Income is an inevitable outcome of the ‘More with less’ evolution. I personally think unemployment is a sign of society’s success not its failure. 3% productivity for decades simply means that less people are required for the same output. Like sectors before it (agriculture etc), dramatically less people are required for the same outcome. The problem is we don’t have new sectors to deploy these people to. The government has simply fragmented society (at great cost to inefficiency, productivity and wasting individuals lives) to create employment. It is analogous to dividing up agricultural land and giving all citizens a 1/4 acre and a plough (except we now call it the Information Age). Unfortunately, I understand that the ‘Industrial Economy’ simply can’t afford these basic income schemes. The underlying inefficiency of the ‘Industrial Economy model needs to be addressed and a new development model reflecting current technologies implemented. I fear we are just giving the Information Age serfs a basic income because society simply can’t be divided into smaller pieces, or made more complex. I do hope this leads to a fundamental reassessment of how society is organised, rather than an incremental expenditure on stressed budgets, insolvent economies and an obsolete ‘Industrial Economy’ model. I think this could prompt a reassessment of how society is organised with a focus on citizen prosperity. The greatest force in the world today is ‘More with less’ evolution. Deflation and unemployment are signs of a successful society, not its failure. How is it exactly that lower prices for citizens is bad for citizens? Why put someone to work for the sake of putting them to work? Trying to create employment (and inflation) against this powerful force is ultimately futile. Basic Income is part of recognising the futility of fighting the ‘More with less’ evolution.